Berlin based Vidab records is pleased to announce the debut album from accomplished musician and producer Tomas Svensson. Titled 'Am I Networked? ', the longplayer takes us into the mind of a true synthesiser enthusiast, whose beautifully played and precisely sequenced tracks have previously only seen light on a handful of EPs for the label. Svensson, the Swedish born long-time Berlin resident, has years of experience playing in bands, on keys, synths and drums, and also worked alongside Vidab co-founder Oliver Deutschmann on their Rhodes-driven electronic project 'Subbroom Association'. After building a new basement studio in the heart of Berlin's northern Wedding district, Tomas set to work recording 'Am I Networked,' resulting in this glorious, warm and hardware-focused journey. Inventive, playful use of a small army of synths, drum machines and live drums breathes life throughout the 13 versatile tracks. From the opening arpeggios of the title track, we are then guided into a melancholic and emotional synthesised world. Submerged atmospheres and complex intertwining melodies greet us in 'Recovering Patterns', with its clear references to the techno-soul of Detroit emerging as a main theme throughout the album. Cosmically-charged cuts like 'Transit Highway' and 'Jupiter' offer a tranced-out, modern take on the spacey, leftfield end of the spectrum. Stand-out, focused moments like 'Engine Bullets', or the devious deeper-techno of 'Commander Cosmo' remind us that Tomas still aims his music firmly at the dancefloor. That's not to mention killers like 'I Can't Do Any Circus', with its pushing synth stabs, or the moody arpeggios of 'Perky's Vision', each working their own precision-crafted brand of deep-techno hybrid-house. Playing through cohesively, with true dynamics and attention to detail, Svensson also offers several moments of inner reflection, with lower-tempo tracks like the acidic 'Walked Grey' or 'Sunportal' all helping to bring together a complete picture of this producer's inner networking. The album is brought to a close with the rich synth textures of 'Healing' and finally 'Landed On A Desert Planet' easing us down from the ride. 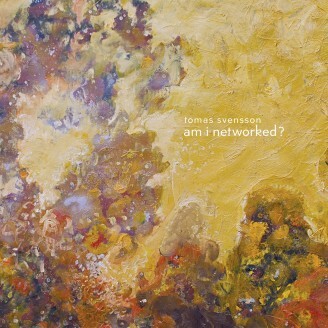 You'll be wondering, if Tomas answers his own hypothesis within 'Am I Networked?' then. Listening will reveal the satisfying answer, that this is the work of a dedicated and talented musician, capable of bringing to life his own unique take on emotional, cosmic, higher-level house and techno.